Isn't this an amazing little piece? The moment I saw it, I fell in love! Small little white beads linked together with golden hooks weighing just right and looking really awesome. 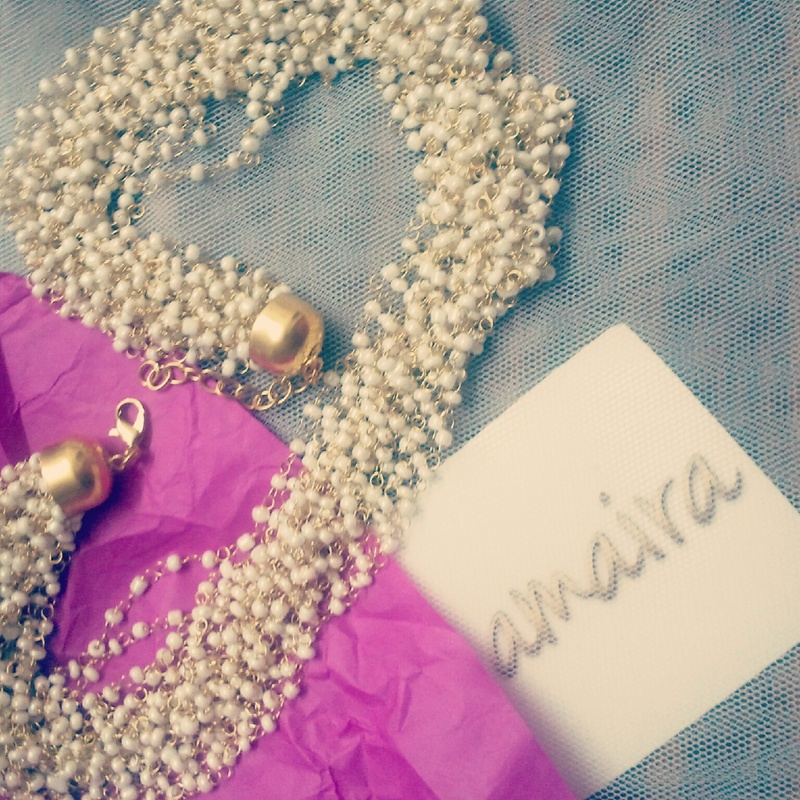 This statement neck piece is a wonderful addition to my collection and is indeed a great piece by Amaira. You should definitely check out their stuff. Regal intricate pieces at affordable prices. That's it from my side, how would you style this necklace? This dress looks really pretty and the beaded necklace is really amazing.